A couple of weeks ago, I posted a delicious recipe for Country Fried Steak and Gravy, and said I was going to work on a good, low calorie buttermilk recipe to go along with it. Well, it turns out that I already had one! But just for fun, I decided to alter my own version just a bit, and make it with whole wheat flour and reduced fat buttermilk instead. O M G. They were so good!! Usually, I find that recipes with whole wheat flour, just never taste quite as good as all purpose flour, but these healthy buttermilk biscuits were a real surprise. Fluffy, moist, and pretty darn big, they ended up still having 3 Points, but the nutritional stats were better. And any way I can sneak something healthy into my family’s meals without sacrificing flavor, you can bet I’m going to do it. My husband and 2yr old gobbled these down in seconds – they were a definite hit and will be on my menu many times to come. Now….my next goal is to find out how to make a low calorie Red Lobster Cheddar Bay Biscuits Recipe!! A healthier version of traditional homemade buttermilk biscuit recipes, these moist and fluffy biscuits have packed on some great nutritional stats, while still keeping the Points count low. Though not an official one of Weight Watchers Buttermilk Biscuit Recipes, this tasty version is a must try for anyone counting Points or Points! Preheat oven to 375 degrees and spray a 6 cup muffin tin with cooking spray. 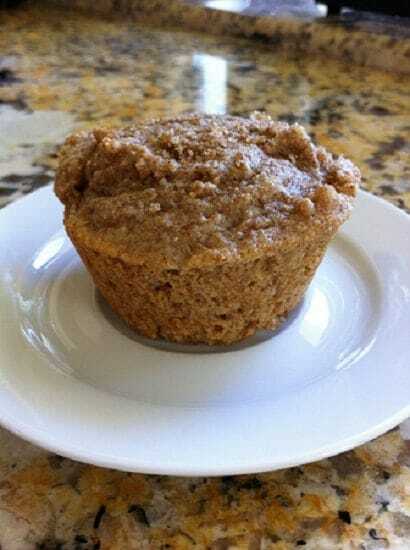 Stir ingredients together and divide evenly between 6 muffin cups. Do these freeze well? Just made a batch and I usually freeze muffins and enjoy over a few weeks, day by day. Any tips? I’d usually defrost in the fridge overnight than microwave for ~20seconds. Do you think fat-free Miracle Whip would work as well? Just made these last night, they were good, thick but good lol……..my husband liked them too :) thanks! Thank you, Laaloosh! I doubled this recipe, and whipped it out in no time! My kids were amazed that I actually made them from scratch, AND they were good for us! Very easy, and really delicious! i can't afford to do the new weight watcher so i have the old program and the old calculater….so for me these biscuits are only 1 point and i am soooooooooo excited to try these?!?!?!?!?! i love pasta and bread so thank you!